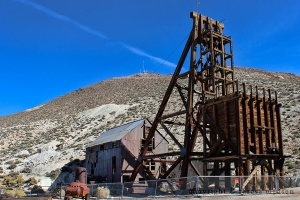 The Tonopah Historic Mining Park is located on the site of the original mining claims that started the rush to Tonopah, making it “Queen of the Silver Camps”. 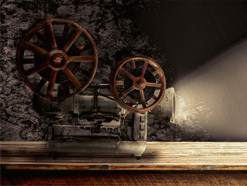 Jim and Belle Butler’s strike in 1900 brought the United States into the 20th Century, and many of the mining processing techniques developed during that time are still being used today. 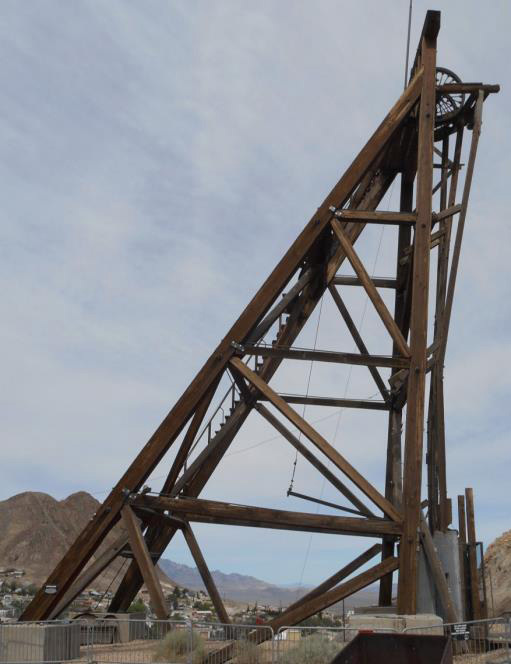 This year’s calendar is focused on raising money to support the rebuilding of Tonopah’s Silver Top head frame. The NNevSME is sharing the proceeds equally with students at the Mackay School of Earth Sciences and Engineering at UNR and the Tonopah Historic Mining Park Foundation. The THMPF was awarded in April 2018, $100,000 by the Nevada Commission for Cultural Centers & Historic Preservation and the THMP Foundation matched that with funds already on hand. Your contribution will make sure the Silver Top Head Frame will be back in all its glory in 2020 ! Click the banner below to download the order form. Mizpah Collar Reconstruction is complete! 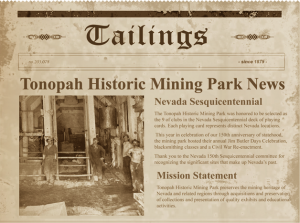 The Tonopah Historic Mining Park Foundation is undertaking several Major Restoration Projects. 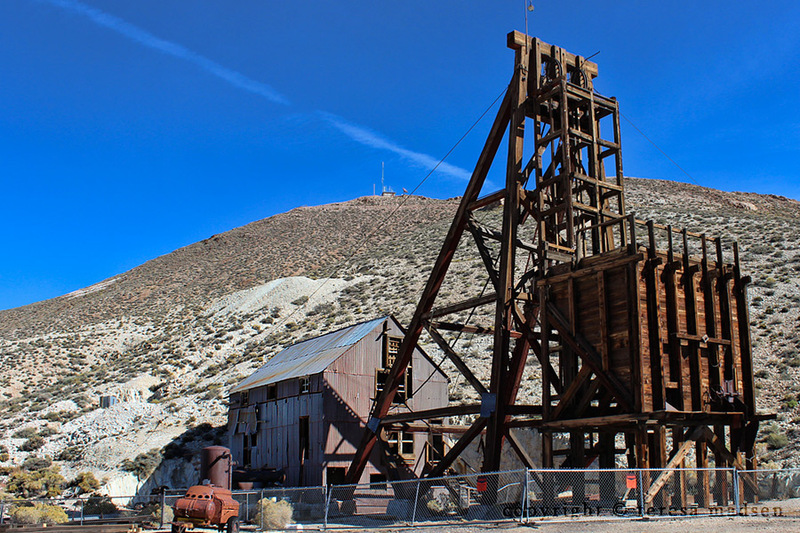 In operation from 1902 to 1948, the Silver Top mine headframe (left) is one of three complete hoisting works located at the Tonopah Historic Mining Park. The failure of the front foundations caused the front feet to drop down and spread away from the rear feet. A stress crack has developed in one of the rear foundation footings, the cage rails have been broken and several structural trusses have pulled loose and fallen. The Desert Queen mine headframe (right) was in use from 1901 to 1929. One of the major diagonal frame members is completely rotted at the footing, and several structural trusses have pulled loose and fallen. Learn more about our Headframe Restoration Projects.